Open Command Prompt and enter the following command:. 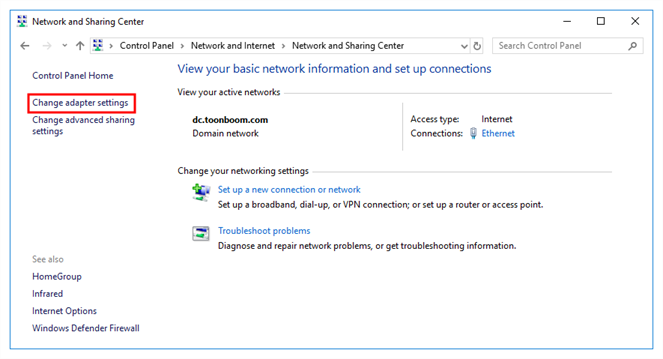 On the top-left corner of the Network and Sharing Center, select Change adapter settings. Right-click on the network adapter used by your machine to connect to your local network, then select Properties. The Local Area Connection Properties dialog appears. Click on the Properties button under the list. In the IP Address field, enter the IPv4 Address you obtained in earlier. In the Subnet mask field, enter the Subnet mask you obtained earlier. In the Default gateway field, enter the Default gateway address you obtained earlier. 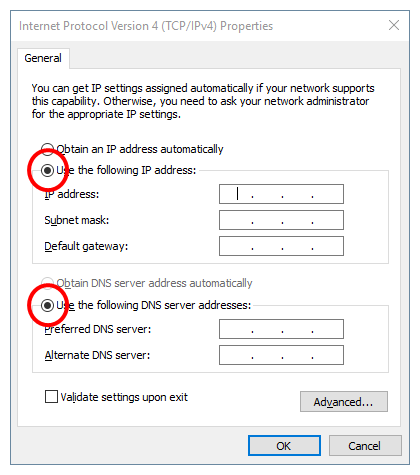 In the Preferred DNS server field, enter the DNS Servers address obtained earlier. 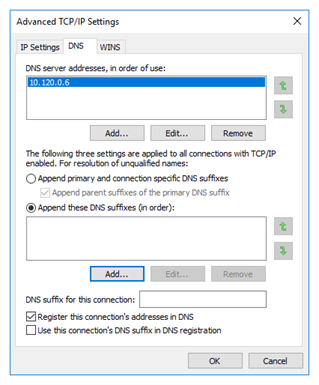 If a second DNS server was listed by ipconfig, type it in the Alternate DNS server field. Otherwise, leave this field empty. The Advanced TCP/IP Settings dialog opens. Select the Append these DNS suffixes (in order): option. For each DNS Suffix obtained earlier, click on Add, then type in the suffix. Add the suffixes in the order in which there were listed. 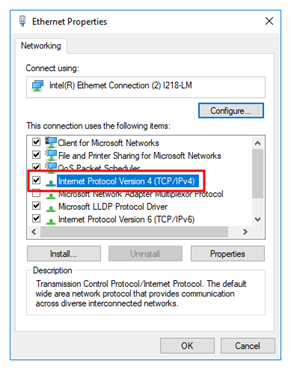 Click on OK in the Internet Protocol Version 4 (TCP/IPv4) Properties dialog. Click on OK in the Ethernet Properties dialog.